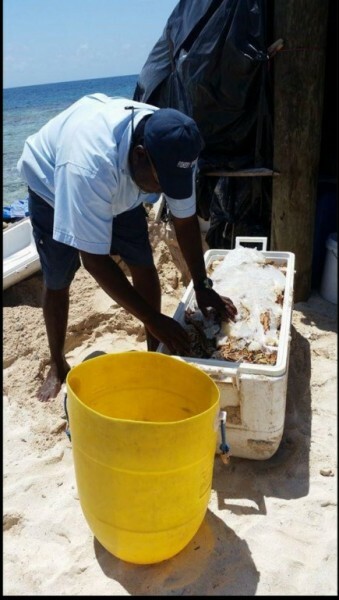 On Tuesday June 14, 2016 the Conservation Compliance Unit – Punta Gorda branch of the Belize Fisheries Department arrested two fishermen for the possession of lobster tail out of season. The detainees were Lucito Armando Sosa, 52 years, and Elizardo Tut, 42 years, both of Independence Village, Stann Creek District. Based on information obtained, the Fisheries Officer, Mr. Victor Vasquez and his team searched the Coco Solo Caye, located directly East of Punta Negra Village on the southern barrier reef. 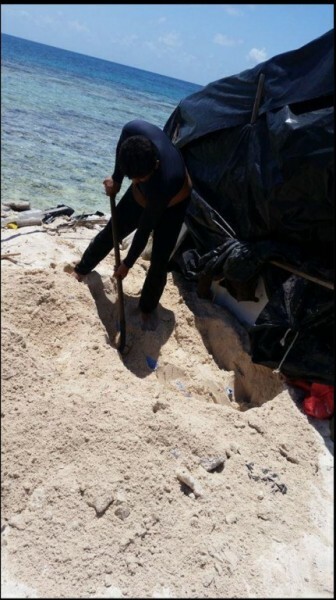 After a thorough search of the island, the Fisheries personnel found one white ice cooler buried in the sand with 204 out of season spiny lobster tail. Both fishers were arrested and summoned to appear at the Punta Gorda Magistrate Court on June 22, 2016. The open season for lobster in Belize is June 15 to February 15. It is against the Fisheries regulations to have in possession lobster during the closed season. The Fisheries Department makes a special appeal to fishers and the public to uphold the Fisheries Regulations in regards to lobster and other marine products, and urges all responsible citizens to call the Department at 224-4552 or 223-2623 to report any infractions or the public can contact Crime Stoppers Belize at 0-800-922-TIPS (8477). The Department can also be reached at e-mail: [email protected] The public is assured that all information communicated to the Fisheries Department will be treated with the highest confidentiality.